This entry is long, and a bit complex. I wrote it in quite a hurry (same goes for the code), so it’s as good as it should be! 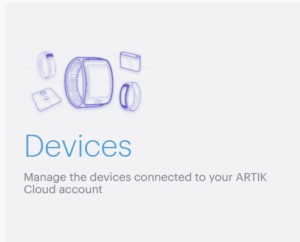 So what does Artik cloud do? I can tell you that my implementation was using secure websockets (wss) – for me this has an advantage that the connection is initiated from INSIDE my house (no inbound holes in my firewall), and it can still receive commands. Creating a device is fairly simple, though it only defines what a device can do, we’ll actually create an instance of it once this is done. So now you have a device type, and it will appear in the list of device types on the left. So far it’s kinda empty, and needs a Manifest which lets you define the data it can send (e.g. state, level, batteryLevel and so on), and the actions you can perform on it e.g. setLevel, setOn, setOff – these 3 are significant because according to https://artik.cloud/works-with/google-home.html this is what’s needed to make it appear in Google Home Control. You can add plenty more, but these three are what I have added. Click + New Manifest to enter the Manifest editor, since the stuff we’re adding is pretty basic, we can use the “standard” fields. Don’t worry you can update the manifest later to add more stuff. 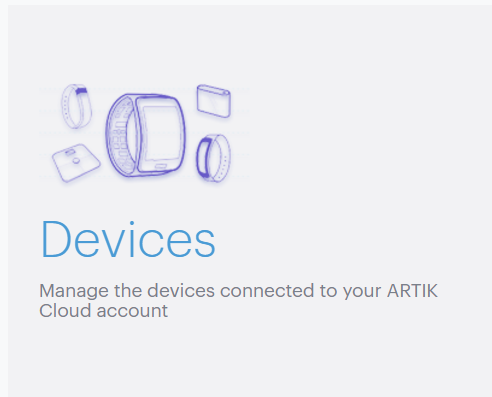 Adding a Device to Artik Cloud.. Pick the one you created in the previous section.. there’s a lot, so start typing the name “ESP8266-Light” and select it when you can. Then press “Connect Device” .. this device will now appear in your devices list..
At this point you can simulate it and send actions to it using the “…” and “lightning bolt”, hardly worth it without any hardware attached, but well, there it is. Sign in with Google, this bit can be a bit flakey , but persist! And in the Devices section you should see “ESP8266-Light”, you will probably want to give it a nickname, I called mine “MCU Light” because saying “ESP8266-Light” is both a pain, and GHome wants to call it “eight thousand two-hundred and sixty-six spanish pesetas Light” which is a serious mouthfull! Try saying “OK BOO BOO, turn on the MCU Light”, you might have to try a couple of times, my nicknames always seem to take two attempts to register after I’ve just renamed. GHome believes it exists, but of course there’s nothing on the other end of the “Wire” .. for that we need a “real” ESP! It is very flakey code, truly a first draft / Mininal Viable Product, it doesn’t even check the fingerprint for the wss:// connection! AND comment out #include “nogit_wifi.h”! Now the LED on your Wemo / ESP should be be controllable by voice! I’ve been looking into how to control an ESP8266 from google home in the UK. The first is that it works without needing a “third party” app, primarily because these aren’t available in the UK, but also I’d like to be able to say “OK Boo Boo, turn on the ESP thingy”. The second is to reduce the number of extra boxes I have to use, more boxes == more things to fail. It looks like this level of integration is available through “services” more specifically the “Home Control” stuff. This is just built in, not part of Home Control, is definitely a possibility, but, well, I’ve had issues with it in the (long ago) past where it was silly slow, like minutes! And anyway, how can you call yourself a hacker if you don’t write any code? If you don’t have a Philips Hue Hub, then this is probaby the route to go down, hub emulation is fairly mature and probably works with the Google Home. BUT, I already have a genuine Philips Hue Hub, and I don’t see a way to add a second to Google Home. It would also require a separate *ix device to do the emulation, and then I’d still ahve to hook it up to the ESP8266. Again there’s a Wemo emulator, and apparently it works with Amazon Echo, but I think it doesn’t work with Google Home. I continued scanning through the available Home Control Integrations, and one particularly caught my eye … ARTIK Cloud, there may well be others, but the sign-in page for the Artik Cloud had hints on it that suggested it might be what I was looking for. This is the route I’ve been going down. Well, unsurprisingly you need to create an account (its been a while, I think you have to create two accounts, a normal one, and a developer one), because I’m using a Google Home, I just used the “sign in with Google” buttons. I created an account, and a developer account, and heaven knows, I may have created other accounts! In the ARTIK Cloud “dashboard” I added a device “Philips Hue”, authorised it etc.. and found that I got a whole buncha lights shown in the dashboard. Then I enabled Artik Cloud in the Google Home App / Google Assistant, lo and behold! All of the new lights became available in the Google Home! Unsurprisingly every single one was duplicate for ones that it already knew about, though fortunately with slightly different names. I added the new ones into a new room, I called it ARTIK just so I could keep them separate, and what do you know? I could actually control them! My next trick is to find out what ARTIK can actually do, and how to get my ESP8266 to link in. Teaser: I’m making good progress so far!